CRPF Recruitment 2018 Exam News: Get here CRPF Recruitment 2018 online in coming months (only after official announcement..), till you can see old orders. Central Reserve Police Force (CRPF) issues recruitment notice for 686 Posts of Head Constables (Ministerial) Jobs. The broad cast advt. of CRPF recruitment notifications is published at www.crpf.nic.in. Interested and eligible candidates have to submit application form on or before 05 May 2016 (now over.......). The written exam date is 26 June 2016 (Sunday). More needed information of Central Reserve Police Force (CRPF) Recruitment 2018 regarding application form, salary, fees, qualification, experience, selection process, exam syllabus and how to apply etc is mentioned below………………………………. Educational Qualification: Candidates should have passed Intermediate (Matric with +2) or equivalent examination from a board or university recognized by Central or State Government. Note - Two or Three year Diploma certificate in technical education done after 10th class is not equivalent to intermediate (10+2). Skill Test (On computer): English Typing with minimum speed of 35 words per minute on computer. (OR) Hindi Typing with minimum speed of 30 words per minute on computer. (35 words per minute in English and 30 words per minute in Hindi corresponding to 10500 key depressions per hour in English 9000 key depressions per hour in Hindi with average of 5 key depressions for each word on computer)..
(1) Height -> For all candidates (General / OBC / SC) except ST - 165 Cms (Male), 155 Cms (Female); For Far-Flung - 162.5 Cms (Male), 150 Cms (Female). (3) Weight -> Proportionate / Corresponding to height and age as per medical standards (For males and females). Over / under weight will be disqualification at the stage of medical examination only. Selection Process: Written Examination, Physical Standard Test (PST) / Scrutiny of documents, Skill Test and Medical examination. Examination Fee: Rs 100/- for General / UR and OBC Category Candidates. The fee pay through SBI Challan / Net banking through any bank / Credit/Debit Card of any bank / E-payment through E-Challan of post office only. Application Process: Eligible job hunters should Apply Online on or before 05/05/2016. For details contact Helpline Number - 011-24368630. Central Reserve Police Force (CRPF) invites applications forms for Posts of 2921 Constables (Trade & Technical) Jobs. Interested candidates have to submit application form on or before 20th December 2014. The written exam date is 01 March 2015 (Sunday). 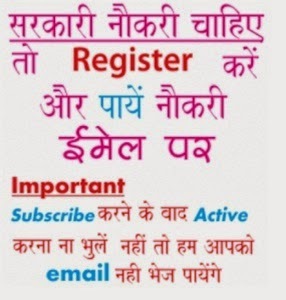 You can check advertisement is given at www.crpf.nic.in. More information of Central Reserve Police Force (CRPF) Recruitment 2015 regarding salary, fees, qualification, experience, selection process, exam syllabus and how to apply etc is mentioned below………………………………. CT/Drivers- A transport vehicle license.